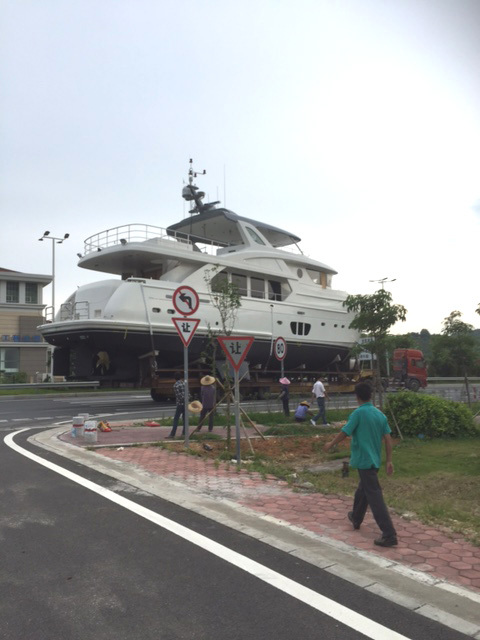 While we were distracted at home celebrating the Labor Day Weekend, JET-TERN was busy moving its latest achievement the new Selene 92 Ocean Explorer a short distance down the street to the river for launch. 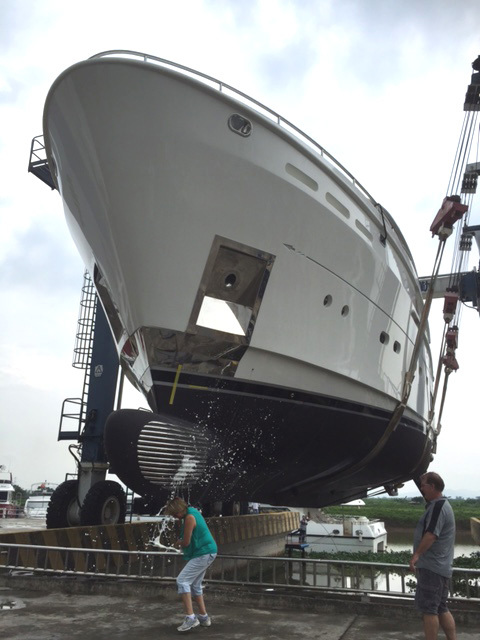 Eagerly awaiting were the 92's owners, Champagne in hand for a quick christening before lowering her into the water. 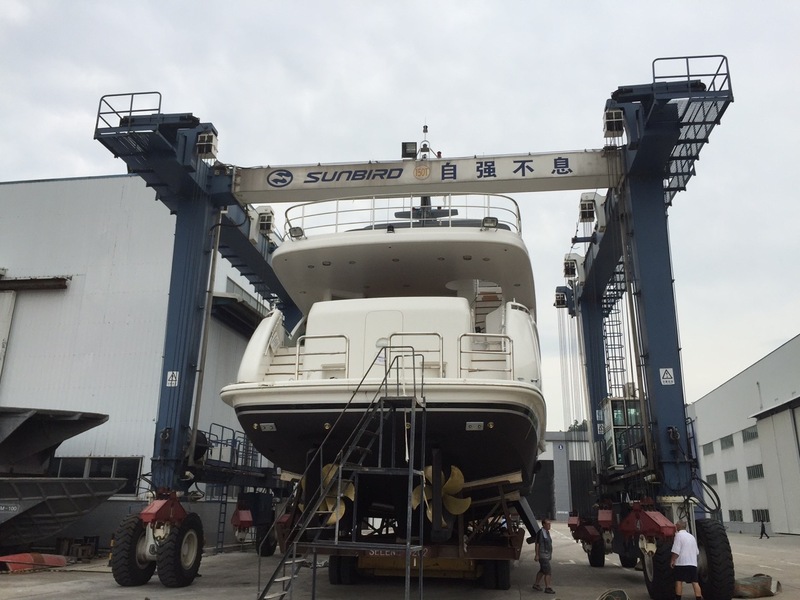 The Launch of the new Selene 92 "Ocean Explorer" is the culmination of an International collaboration of designers and architects under Howard Chen's design team leadership. Working closely with renowned Dutch architect Guido De Groot and a group of International consultants they developed a contemporary take on the long range yacht while capitalizing on builder JET-TERN Marine's quality construction and reputation for experience and innovation in the displacement yacht sector. 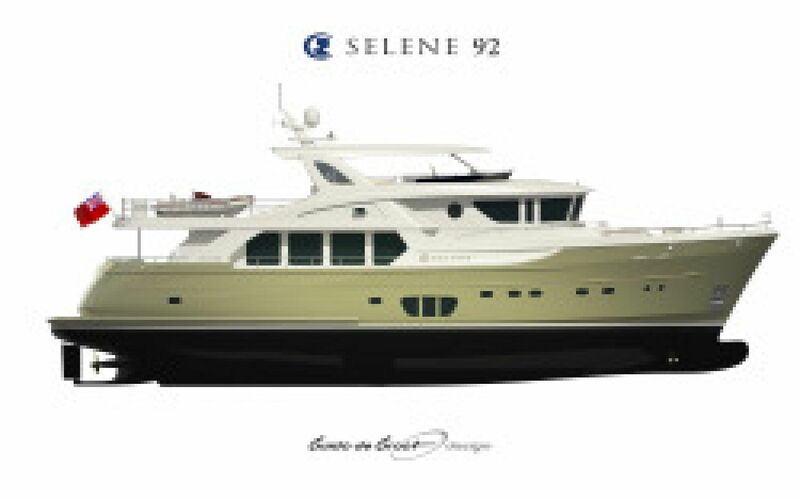 A first look at the 92 shows a number of the Selene family traits with her powerful raised pilothouse, Portugueses bridge, and bulbous bow. But a contemporary twist is also apparent in the addition of the large side windows in the hull and Stainless anchor pockets. 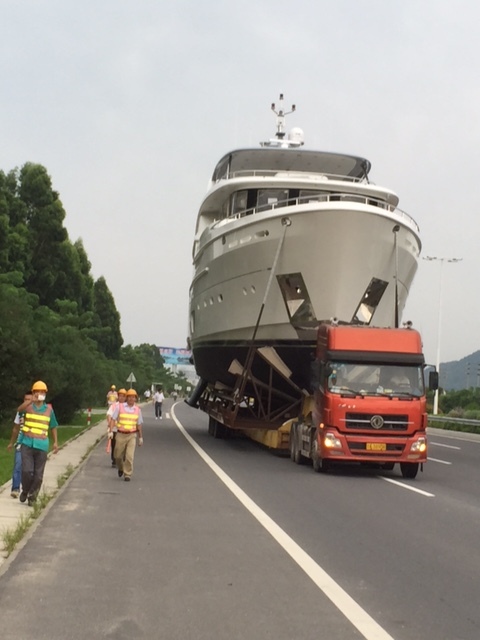 She is sure to appeal to existing owners and big boat enthusiasts alike and takes the simple and proven concept of the fuel efficient and seaworthy long range yacht to a new level of luxury that is that is intended to compete directly with the finest European yards but with all of the advantages of GRP. Sure to impress all lucky enough to be invited aboard, she will likely be headed to the USA North West in October. Oh, and yes the factory now has a slot open for the next 92. Will it be yours?